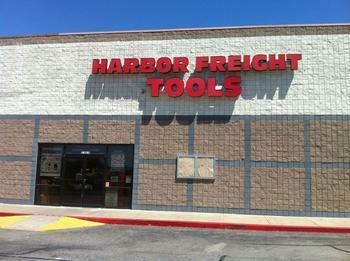 A class action suit filed against Harbor Freight Tools, a discount tool chain operating 750 U.S. locations, could refund shoppers up to 30% on purchases made within a 5-6-year period. The company recently settled the suit, which alleged that it used misleading sales practices. Plaintiff Jeffrey Beck stated that the company advertised certain products at “sale” and “compare at” prices even though those items weren’t originally sold at a higher price to begin with. He stated that the sales practice effectively created the illusion of a discount to draw in customers. However, federal regulations dictate that an item can only be marked “on sale” if it was sold at a higher original price for 28 of the preceding 90 days. Customers who saved itemized receipts of their purchase that display a “You Saved” amount will receive 20% off the amount they paid in cash or 30% as a Harbor Freight gift card. Customers who have a credit or debit card statement that proves they shopped at Harbor Freight during the covered period may receive 10% off the amount they paid in cash or 12% as a Harbor Freight gift card. Customers who have no documentation of a purchase but claim they bought items during the covered period may receive a $10 Harbor Freight gift card. However, those who make false claims and are found out will be subject to perjury charges and could face stiff penalties. Consumers who wish to receive a payment must complete a claim form and either mail it or submit it online no later than August 7, 2017.